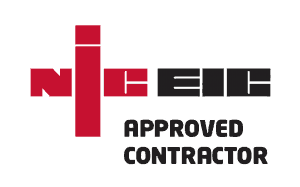 1.1 All electrical installation work will comply with BS7671:2008(17th edition amendment 3 current at 13/04/2017) and any amendments in force at the time of the works. 1.2 All electrical installation work will comply with applicable Building Regulations in force at the time of the works. 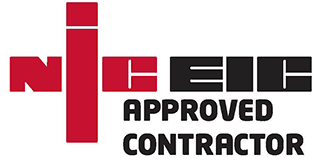 1.3 Electrical Installation and Minor Works certificates and Building Regulations notifications issued by Bowden Electrical cover only those works installed by Bowden Electrical. 1.4 Where work is to extend or modify existing circuits, costs quoted assume existing circuits are safe and in adequate condition. Any works required to bring these circuits up to standard will be at additional cost. 1.6 Where carpet or floor coverings require lifting, best endeavours will be made to avoid damage and to refit to an acceptable standard. However, employing a specialist fitter may be required in certain situations. You will be advised of this at the outset or at the earliest possible juncture. The cost of the specialist will not be covered by Bowden Electrical Limited unless specifically caused by them. 1.7 Unless agreed before hand, chases to walls, etc will be left un-filled or filled with bonding only. Final finishing of skim coat plaster and final decoration is excluded and if Bowden Electrical Limited are asked to do this, then extra charges will apply. 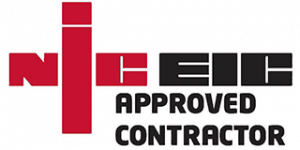 1.8 Bowden Electrical will endeavour to undertake installation work to a clean standard. However, some additional vacuuming and cleaning down of surfaces should be expected afterwards. Any equipment susceptible to damage from dust (e.g. video or computer equipment) must be removed from the work area prior to Bowden Electrical’ s arrival. 2.1 Installation of new consumer units (fuse board) is subject to the whole installation being tested to ensure it is safe to be connected to a new consumer unit. This is a legal requirement under Part P Building Regulations. The basic cost for this is included in the installation cost. 2.2 Any faults found during the above testing which are deemed unsafe, must be rectified prior to that circuit being reconnected to any new consumer unit. Any costs for such work are not included. Such issues will be brought to the client’s attention as soon as is practical during works. 2.3 In particular it may be necessary to install new main services bonding to water, gas or oil supplies. This is especially common on properties built during or prior to the early 1970s and again these are at additional cost unless agreed otherwise beforehand. 3.1 Whilst we try to be as helpful as possible and will generally do some limited moving to create access, the clearing and / or moving of furniture and other items blocking access to work areas are not included within the quote. 3.2 Whilst Bowden Electrical will try and ensure that electrical items are plugged back in and in working order before we leave the premises, we will not be held responsible for any losses due to any electrical item not being plugged back in and / or switched on. 3.3 Removal from site and disposal of rubble, materials, general waste and packaging is not included. Bowden Electrical may, at their discretion, remove old fittings and wiring for responsible disposal. 3.4 Bowden Electrical shall not be liable for any delay or for the consequences of any delay in performing any of its obligations if such delay is due to any cause whatsoever beyond its reasonable control, & the Company shall be entitled to a reasonable extension of the time for performing such obligations. 4.1 Estimated costs assume continuous and unhindered access to the site by prior arrangement with the client. 4.2 Unless stated otherwise, the costs quoted assume standard working hours between 08:00hrs – 17:00hrs Monday to Friday inclusive. Work required by the client outside these hours may attract premium rates although we will try and be flexible. 4.3 Additional work not covered in stated costs will attract additional charges but these will not progress with prior agreement to the additional original quotation. 4.4 Estimates are valid for 30 days from the date of issue. Instructions given after this period may be subject to re-quote. Customers will be advised appropriately before works are commenced. 5.1) The risk in all goods supplied shall pass to the Client upon delivery. 5.2) All goods supplied shall remain the property of Bowden Electrical until all sums due have been paid in full. 6.1) Bowden Electrical warrants its installation work to be defect free for a period of twelve months from the invoice date. Cover does not extend to goods supplied by others, physical damage, wilful misuse or instances where the installation has been altered or tampered with by third parties. The warranty also excludes fair wear and tear, lamps, fuses or other consumables. 6.2) Where projects involve works by third party trades, any damage to the electrical installation by third parties shall remain the responsibility of the Client. Any rectification costs must be paid by the Client prior to commencement of second fix. Recovery of such costs from any third party shall be the Clients responsibility. 6.3) Security alarms will be fitted with tamper seal on main panel. All warranty is void if this is broken. Request of engineer code will also void any warranty. 7.1 Unless agreed in writing, payment in full should be made on completion of the specified works, to the account details provided for Bowden Electrical Limited. The account details will be located at the bottom of the invoice. Or by other forms of payment in the form of cheque or cash. 7.2 Larger projects may require a non-refundable deposit before work commences, this (if applicable) will be stated in your quotation, or communicated by email before the works are booked in. 7.4 Payment is accepted by cash, bank transfer or cheque. We are not currently able to offer card payments. 7.5 In the event of any non-payment Bowden Electrical reserve the right to withhold any certificates for work carried out until such payments are made. Force Majeure: Bowden Electrical shall not be liable for any failure of or delay in the performance of this Agreement for the period that such failure or delay is due to causes beyond its reasonable control, including but not limited to acts of God, war, strikes or labour disputes, embargoes, government orders or any other force majeure event. Legal: The parties agree that all disputes arising out of or in connection with this Agreement are governed by the law of England and Wales, and are subject to the exclusive jurisdiction of the courts of England and Wales.